Can I run with flat feet? Do I need special shoes for my flat foot? These are some of the questions that cross the mind most flat foot people. This guide has the answers to all your questions regarding flat feet. 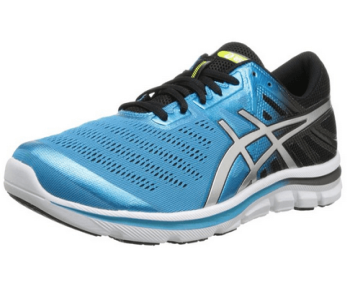 Also, it offers an awesome pick of the best running shoes for flat feet. People with flat feet can run just like those with right feet. You can take normal walks and jog in your backyard. However, running on flat foot causes excess overpronation. This act can cause injury at or below your knee. Thus, if you have flat feet, you require shoes that offer enough arch support. 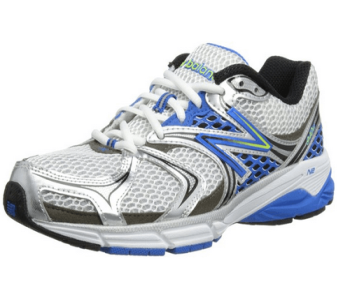 This guide features motion and stability control running shoes. The shoes in this review meet these five conditions. They are trendy brands in the market. Have flexible toe box to limit pressure on your toes. Offer great arch support to reduce foot impacts. Have a good blend of colors to match your workout outfit. Have great cushioning for stable balance and to prevent foot rolling. This pick includes both men and women flat feet shoes. It consists of neutral running shoes. Also, it features stability running shoes with plenty of foam cushioning. These shoes also allow you to insert custom insoles. We advise runners with severe overpronation to choose motion control shoes. Test your shoes by running with them around a block. If the shoes are cozy, you can proceed to the woods and backyard. 3.11 What Is a Flat Foot? 3.16 What are the Best Shoes for People with Flat Feet? A good shoe for flat feet has more to do with running gait and foot shape. It has less to do with color, style or brand name. If you have flat feet, consult a physical therapists or doctor to know your running gait. You should also know the amount of pronation when you are in motion. Or simply check the sole of your shoe. If there is heavy wear on the inside of your sole, then you overpronate when running. Also, consider the size of your feet. If you have flat feet, measure your foot each time you want to buy new shoes. Do not ignore your foot size even if you have other shoes of the same size. The reason is, if one foot is a bit shorter than the other, there can be extra space in your shoe. This additional space increases foot movement within the shoe. Finally, before choosing a new pair of shoes for flat feet consider their durability. Generally, the best shoes for flat feet will last between 300 and 500 miles. However, these miles may vary depending on the running surface and your running style. Well-Cushioned: You should look for shoes with a good middle arch cushion. These shoes offer stable balance and help prevent rolling while running. Also, check for extra cushioning in the heel and forefront. The extra cushioning prevents painful shin splints and helps in shock absorption. Arch Support: It helps limit impacts when you hit the ground when running. Arch support is the most vital feature to look for when choosing a flat feet shoe. Flexible Toe Box: This feature helps limit pressure and impact on your foot as you run. However, don’t choose shoes with a large toe box. Dual Density Midsoles: Dual-density midsoles. Ensure the shoe has double or multiple midsoles. This feature keeps the arch at a perfect angle. Also, it prevents your foot from rolling inwards. These are the right shoes for people with flat feet. Most doctors and people with flat feet problem endorse these shoes. The Nike Lunarglide 7 running shoe is the new model in the LunarGlide series. This shoe has many features that will improve your running performance. It uses great technology that eliminates problems while running. There are men and women flat feet running shoes. If you desire flat feet shoes that offer great support, the brand is one of the best options for you. 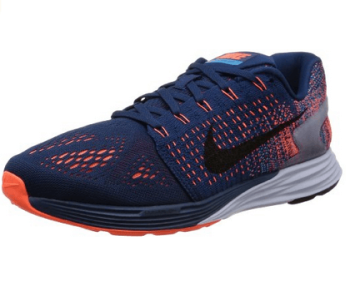 With the Lunarlon Cushioning, you can be sure to get great foot comfort. The cushioning prevents your feet from shaving irritation. Your feel will also be free from blisters. The midsole feature Flywire fabric for more support and protection. Also, the Flywire makes the forefoot section flexible. You can be sure the Flywire does not affect the fit of your shoe. The Heel Cup hugs your heel for protection as well as improving stability during the run. If your shoes don’t have great impact absorption, the foot landing may be a problem. That is why you should ensure your running should absorb heel section and forefoot impact. However, with this shoe, you should not worry! It features a bottomless carrier in the impact areas. This feature ensures great forefoot and heel protection. You will enjoy support and softness in the arch area, due to the dynamic support platform of the shoe. The support comes from the shoes super soft foam. Thus, it gives pronation support during your run. It has flex grooves that enhance the flexibility of the outsole. The upper section features mesh fabric to improve breathability. The Nike Lunarglide 7 targets runners who overpronate and need extra stability when running. Running with a lightweight and simple shoe is possible with the Asics Gel Lyte33. 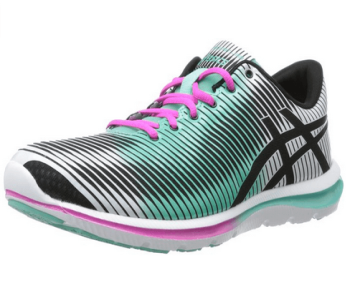 The Asics Gel Lyte33 is a perfect shoe for flat feet runners who want to boost performance. 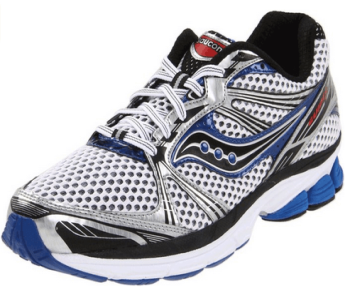 This shoe provides great cushioning and comfort that offer a smooth ride. Flat feet runners can trust this shoe to make it to the next level. It offers smooth heel-to-toe transition, hence ideal for normal training. This shoe is lightweight to suit long distance runners. With a natural gait cycle, your foot will move freely in this shoe. The smooth transition enhances motion. This feature improves natural motion of your foot when running. 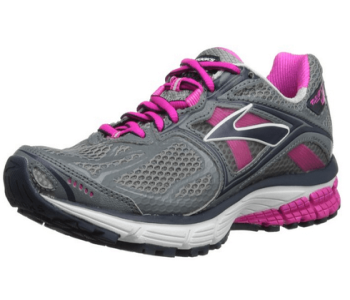 The design of this shoe includes rearfoot gel cushioning. This cushioning system promotes impact absorption. The cushion system consists of silicone gels. The gels enhance impact absorption and cushions your heel area. The midsole area uses dual density system. The midsole is an EVA soft layer for more support and cushioning. A Solyte fabric under the midsole enhances comfort. This fabric improves responsiveness and stability on each step. Vertical flex grooves in the midsole improve gait cycle. It also improves natural motion. 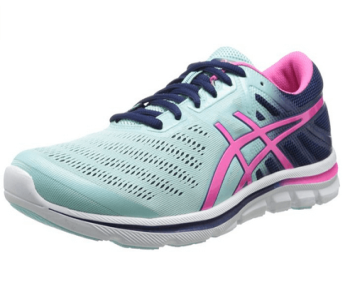 The outsole is made of (AHAR) Asics High Abrasion Resistance fabric which can give you better stability and comfort. It is abrasion protection making the shoe great for running on tough grounds and terrains. However, be keen since the sole can wear faster than in other running shoes. This shoe offers a great blend of arch support and cushioning. It has a superior comfort to meet runner’s needs. It will improve the speed and value of your run. Flat-footed men and women will love the Asics Gel Lyte33. It has great features to adapt to your flat foot problem. A quick lace system makes sure you don’t waste any minute. Also, you can use it for the sprinting, and regular walk. Has a weak sole, thus, not very durable. 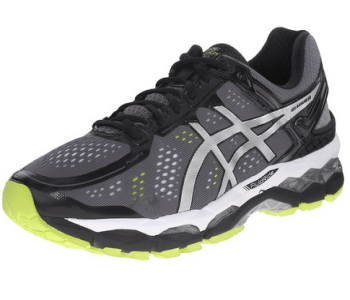 The Asics Gel Electro 33 running shoe is new in the Asics line. This great shoe for flat foot women and men takes your gait into account. Also, it caters for pronation of individual runners. It is meant to improve your natural running routines. With great technology, you will find this shoe very handy. The outsole features fluid axis to optimize your running sessions. Thus, it makes your foot feel cozy. If you overpronate, this shoe is an excellent choice. Also, those who under pronated can wear this shoe. The rear section features gel technology. It provides the power to launch. Also, this feature enhances cushioning for shock absorption. It has asymmetrical dual density midsole. This section has Solyte foam material for extra stability. Your foot feels natural due to the soft SpEVA layer. This layer is on top of the midsole. These two features help control over-pronation and fix gait issues. Also, the midsole has an extra cushioning. Thus, you will have great cushioning and anatomical comfort. The mesh upper features mesh breathable materials to prevent sweating. The external upper has a Mono-sock overlay. This feature offers comfort and support. Antimicrobial comfort-dry sock liner absorbs foot moisture. This feature prevents your shoe from having a bad odor. Odors result due to excess foot sweating. The personal heel fit has two layers of memory foam. The layers mold to your foot. Hence, you are sure of great heel support during the run or walk. 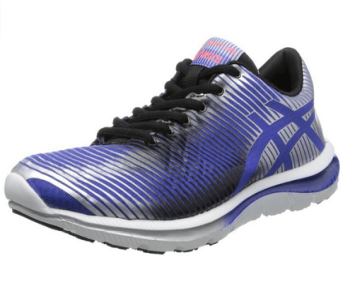 The outer sole feature Asics high abrasion rubber. This material makes this running shoe durable. Also, it improves traction for all weather use. This shoe comes at a significant discount and thus a great purchase. Get into the zone of running success with the Saucony ProGrid Guide 5 Shoe. It offers great road running performance. This shoe boasts of low-profile comfortable and adaptive design. It will not disappoint you, and it has become one of the most sought-after flat feet running shoe. This natural shoe is perfect for both track and trail running. It has a beautiful appearance with heel and front reflectors to match your workout suits. The Saucony ProGrid Guide 5 is one of the best shoes for people with flat feet that is why it appears in our top selection. The outsole features an extremely abrasion resistant material. Thus, you can use it in tough trails without fear of wear. The insole should offer both physical and healthy protection to your foot. Some flat running shoes absorb excessive sweat creating bad odors. Others incubate bacteria that may harm. However, the ProGrid Guide 5 addresses all these issues. It has anti-bacterial inlay sole. Thus, it will not accumulate harmful micro-organisms. It has a flat midsole to suit needs of flat foot runners. The midsole construction makes this shoe light for long distance runners. Dynamical nature makes this shoe suitable for various activities. You can greatly improve physical, emotional and health status. With a memory foam technology and a dual-density, this shoe is very comfortable. This technology also improves support for your foot. It is ideal for people of all walking styles like the midfoot striker and heel striker. Flat footed women and men who want a good running shoe, should consider the ProGrid Guide 5. It offers remarkable stability in every step when running. The plush construction provides high impact protection and shock absorption. The Asics Gel Super J33 continues the innovation of Asics Natural 33 collection. This shoe boasts of FluidAxis Technology that adjusts to your foot geometry. It is meant to take care of the flat-footed people who experience mild to moderate pronation. This shoe allows you to run faster without losing support. This shoe has deep flex grooves alignments in the foot’s joint to support your foot when running. This feature adapts and responds to your running positions. It reduces the ground impact on your toes. Hence, your foot will pronate more naturally. The construction of this shoe features FAST Drop, FAST Heel, Sole and Fast Ride. The FAST Drop reduces the weight of the midsole making the shoe very light. The upper section of this shoe features light mesh with welded overlays for comfort. The outsole has textured lugs that ensure longevity. It has a Guidance Line for a predictable land foot. High abrasive construction allows you to run through extreme difficult trails. Also, this material allows fast and simple washing. 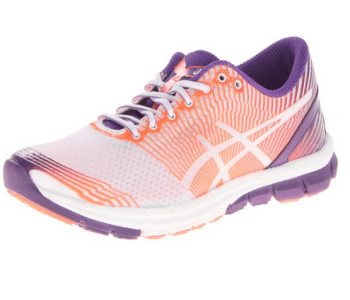 Gel cushioning allows your feet to keep bouncing at every step. This cushioning prevents your foot from getting injuries during various workouts. women model weighs 187 grams. The lightweight nature improves the stability of this flat feet running shoe. space to flex during your workouts. This shoe does not wear fast since it features durable textile materials. 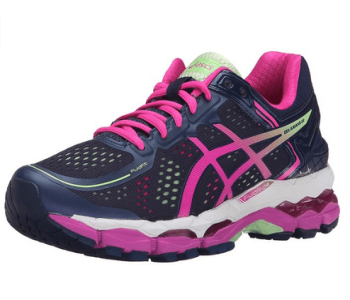 The Asics Gel-Kayano 22 is a midweight shoe for the marathoners and long-distance runners. This flat feet shoe features gel cushioning to make sure your heel and toe have a smooth feel. It offers a great arch support and personalized fit. This women and men shoe has Heel Clutching System. This feature improves the underfoot ride as well as running efficiency. Thus, the occurrence of irritation or friction is greatly minimized. The design of this shoe aims at improving foot’s natural gait from toe-off to heel strike. construction for a perfect fit. The upper section also has a biomorphic technology for better fit and comfort. This shoe uses DuoMax Technology. This Dynamic DuoMax feature helps address overpronation by its multi-rigid shape. The Soft Top DuoMax also offer great comfort and improve gait efficiency for flat footed runners. The midsole has triple density foam. Also, it has forefoot and heel Asics gel pads. This triple density helps improve your guidance when running. Under the midsole, there is trusstic that provides stability. The trusstic also controls the torsion in your foot when running. The midsole also has duo truss to improve torsional stability and arch support. The midsole is a dual-density system, which is softer on the lateral side and firmer on the medial side. 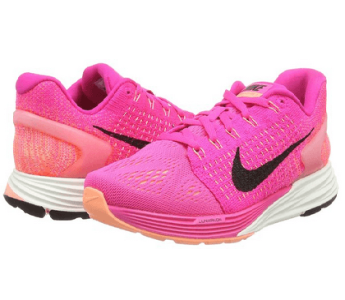 You will love this shoe since it features gender-specific cushioning. Also, there are a variety of colors to suit your needs. If you are a flat-footed woman or man, let that condition not bar you from running. The Brooks Ravenna 5 comes with numerous features to suit your needs. It comes in up to five colors giving you the option to choose your favorite color. 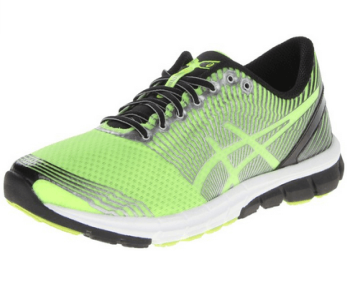 Above all, this shoe is very affordable and adapts to your running style. The upper section features high tensile mesh. The mesh maintains a breathable in-shoe environment. Also, it manages moisture to prevent your feet from sweating. Since the mesh is strong, it will offer protection from different elements. What is the size of your flat foot? Don’t worry about the size! This shoe comes with an adjustable saddle to promote better fit. It prevents your foot from rolling when you are doing your exercises. The midsole comes with an extra cushioning to offer enough comfort. It has segmented mid-foot and heel crash pads to make sure you have a smooth transition. The heel crash pads enhance arch support. Also, it prevents your foot from getting bruises and other injuries. The mid-foot crash pads help in shock absorption when the shoe comes into contact with the ground. The Omega Flex Grooves helps to improve natural forefoot. Your foot will be more comfortable, and you will not experience irritation. Also, the Omega Flex Groove improves fluidity for comfort and stability. Count on this shoe for great support if you have mild overpronation. You will also appreciate the easy flex of this flat feet shoe. The flat-footed men and women, who want to enjoy great cushioning and a silky smooth motion, should consider the Brooks Ravenna 5 running shoe. Are you a man or woman is suffering from flat feet? Don’t worry! 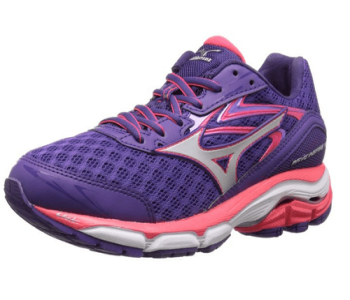 With the Mizuno Inspire 12 shoe, you can run like people with normal feet. The Inspire 12 is a great running shoe for you if you prefer a snug fit through the midfoot. This shoe is cozy to suit workouts like sprinting, jogging and running. Whether you are preparing for a marathon or want to improve body health, this shoe is very useful. 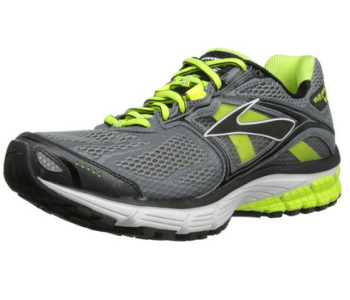 The Wave Inspire 12 has a roomy toe box to allow free toe movement. Thus, your toes will not be tightly held in the shoe. It offers remarkable arch support. However, it is not perfect if you who need great arch support. There is a U4icX strobe board with the sole to enhances your foot comfort. The midsole has Mizuno’s U4icX foam technology that offers nice cushioning. Also, this technology makes the shoe light to suit long distance running. The new support groove pattern offers great stability in your forefoot section. Stability and support are enhanced by Double Fan Wave Technology. Thus, you will enjoy excellent support in the forefoot without any stiffness. If you have low or moderately low arches, your feet will feel great in the Inspire 12. 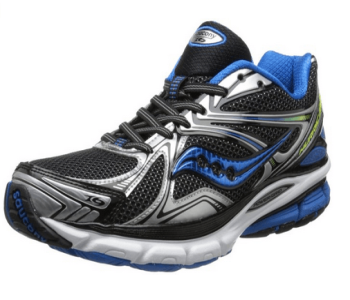 This shoe offers responsive cushioning and secure fit. The upper part is a bit lifted making the shoe a perfect fit for people with all walking styles. A soft heel strike makes the shoe firmer than its predecessor, wave inspire 11. The upper section features a breathable mesh to prevent your legs from sweating. The mesh also prevents the shoe from accumulating bad odors. Thus, bacteria can't thrive in your shoe. The women shoe weighs only 8.9oz while the men weigh 10.6oz. It comes in different color combination such as black/silver or Chinese Red/silver. The Mizuno Wave Inspire 12 provides an easy solution to correct your flat feet. Lightweight for long distance running. Offer great comfort to the forefoot and midfoot. Stylish colors to choose from. Not perfect for you who need great arch support. The M940V2 features cutting-edge stability technology to suit needs of flat footed runners. This shoe targets those who overpronate when running. It has been assembled in the U.S, thus, it meets all international health standards. With Stabilicore medial post technology, this shoe offers your foot great stability. The M940V2 is available for both flat-footed men and women. The New Balance Shoe provides maximum cushioning. It features N2 low-to-ground cushioning technology. This technology ensures responsive, durable and sustainable cushioning in a low-profile execution. Hence, if you desire extra cushioning, consider the New Balance M940V2. The Abzorb Strobel Board in the sole maximizes shock absorption. Thus, it greatly reduces forefoot, toe and heel shock absorption. It has an Ortholite foam insert that delivers long-term breathability and comfort. If you want to improve the quality of your run, consider the New Balance since it is very responsive. If you need ultimate stability and control, the 940v2 is a great choice. It has the Stabilicore support system that offers a superior smooth transition from heel strike to toe-off. The midsole features a T-Beam shank. This material is made of flexible light TPU. The material is in the mid-foot to enhance shoes torsional stability during heel-to-toe transition. Also, the T-Beam shank offers arch support. The medial post features high-density foam. This extra foam improves cushioning making the shoe very cozy. This feature corrects over pronation by enhancing the arch support. The midsole mainly consists of ACTEVA Lite. It covers the underfoot, from heel to forefoot. It has prime cushioning foam for comfort. The New Balance shoe also has SL-1. This material is mainly for running and walking. It develops standard widths in heel and forefoot areas and standard height in the toe box. The heel collar has dual density collar foam. 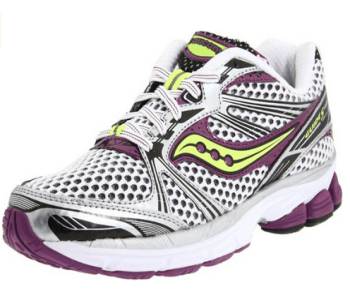 It offers step-in comfort and helps keep your heel in place during the run. This shoe has a phantom line that minimizes irritation in the insole. A built-in webbing system allows lacing closure. This feature helps secure your mid-foot while keeping a performance fit always. The upper interior has Lighting Dry Technology. The technology has moisture management properties. Thus, it helps to keep your foot dry throughout the run. 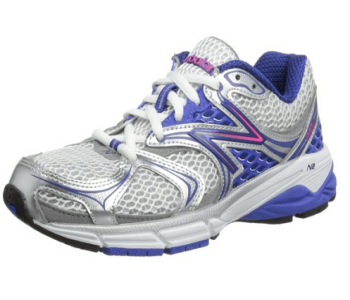 The New Balance M940V2 offers excellent support, cushioning and arch support. A bit stiff in the heel area. Poor fit in the forefoot. 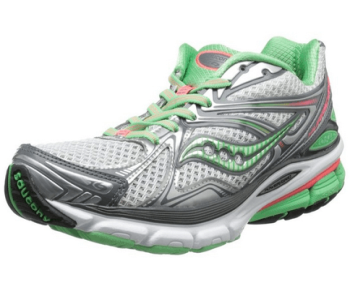 With the Saucony Hurricane 16, you will enjoy a better feel and maximum support. Unlike some stability shoes, the Hurricane 16 does not have extra bulk. It promises stability, support, and comfort when running. This shoe is available for both men and women. The heel cushioning has PowerGrid Technology. This technology is better for pronation control and function. The PowerGrid heel distributes impact evenly. Also, it adds comfort to the rear foot while running. It has impact interface for cushioning. The material features a thermoplastic elastomer for two benefits. First, it offers to cushion in the midsole for foot protection. Secondly, it assists heel strikers to eliminate heel impact for great shock absorption. The heel also has Super Rebound Compound. The SRC extends to the midfoot to improve cushioning. It enhances the absorption of landing impacts. Also, it allows a smooth transition from the heel to toe. The midsole feature Dual Density EVA. The material promises exceptional comfort and responsiveness. A firm density ensures durability and stability while running. It helps to slow pronation and controls the maximum angle. The standard post in the mid-foot corrects flat foot while running by reducing over-pronation. The upper part has open mesh for flexibility and breathability. It offers a snug fit for your foot when running. The mesh gives the shoe an appealing appearance in a functional manner. Upper support of the shoe molds to your foot and keeps it in place. If you have broad and narrow feet will love this shoe since it’s designed for secure and better fit. Both men and women versions are available. Flexible to allow free foot movement. Flat foot is a situation where the arch on the inside of the foot is flat. You can also refer flat feet to as fallen arches. If you have a flat foot, the entire sole touches the floor when you stand. Most people have an upward curve in the middle of their foot know as an arch. Tendons from the arches. Tendons are tight bands attached to the foot bones and heel. When the tendons pull correctly, your foot forms an arch. When the muscles do not stretch well, there is a small or no arch. In some cases, flat foot is common during childhood. However, an arch forms at a later age. If the arches do not form, Flat feet occur. Flat foot is a usually a painless condition. However, it can lead to problems on your knees. Worse situations can cause pains in your ankles. Problems arise since flat foot can alter the alignment of your legs. You can test if you have flat feet. To test, follow these three simple steps. Wet your feet: you can use colored water. Stand on a flat surface where your footprint will show. For instance, on a concrete walkway. Step aside and look at your footprints. If the imprints are complete, you likely have flat feet. A doctor mainly checks if you have flat feet. Your doctor may check several factors such as. Check health history for evidence of injuries or illnesses. The aim is to identify a link to the fallen arches or flat feet. Take x-ray or an MRI of your foot. Test the strength of tendons and muscles. These include other tendons in the legs and feet. For instance, the posterior tibial tendon or Achilles tendon. Observe your legs and feet as you stand and perform simple walks. Inspect the sole of your shoe for uneven or unusual wear patterns. Flat feet can arise when the arches do not develop during childhood. Flat feet can occur due to an injury. Also, it can develop from the simple wear and tear stresses of aging. Also, archers can fall over time. In aged people, tendons that run along the ankles can weaken and fall. Since these tendons help support the arches when they fall flat feet occurs. Flaws that develop at occur childhood. Inflammation or injury of the (PTT) posterior tibial tendon. Health conditions such as rheumatoid arthritis. Treatment of flat feet depends on the cause of the problem and the severity. Treatment is not necessary if you do not have pain. Your doctor may propose one of these treatments. Several techniques can combine to achieve the best results. This technique involves the use of orthotic devices. Over-the-counter arch support can help reduce the pain caused by flat feet. Your doctor might recommend custom-designed arch support. The arch support fits the contour of your foot. Arch supports will not cure flat feet, but they help reduce symptoms. Ideally, some people with flat feet have shortened Achilles' tendon. Stretching this muscle may be a remedy to relieve pain. Supportive shoes are more comfortable than sandals. Avoid shoes with minimal support. Flat feet can lead to overuse injuries in some people. A doctor can analyze a video of how you walk. Then help enhance your technique and form. Like the use of corticosteroids. In the case of severe foot pain, your doctor may suggest surgery. Also, foot damage calls for surgery. However, surgery is not done exclusively to correct flat feet. Also, it can be done to repair tendon rupture or tear. The surgical procedures may involve. Fusion of ankle or foot bones together. Removing bone or bones also excision. Changing or cleaning the shape of the bones (osteotomy). Cleaning tendons’ protective cover (Synovectomy). Add of tendons from other body parts to the tendons in your feet. This procedure helps balance tendon pull to form an arch. Graft of bones to your feet to initiate natural rise. This technique leads to the formation of an arch. It is also called lateral column lengthening. Wear shoes or footwear that is appropriate for your activity. There are specific shoes designed for people with a flat foot. You can get best shoes for flat feet women. Also, there are shoes for flat feet men. When pain occurs, try home treatments. Some treatments include over-the-counter non-steroidal anti-inflammatories. Also, you can try NSAIDs like ibuprofen. Treat the risk factors that can worsen flat feet or fallen arches. These factors include high blood pressure, obesity, and diabetes. Avoid exercise that puts more stress on your feet like running and jumping. Take part in simple activities like swimming or walking. Make sure you use the right running shoes for flat feet. Most people do not show symptoms or signs of flat feet or fallen arches. However, a few people with flat feet experience foot pain. The pain develops in the arch or heel. Pain occurs when the state is worse. Also, swelling can occur along the inside of your ankle. These are the common symptoms of flat feet or fallen arches. Achy or painful feet, mainly in the areas of the heels or arches. The inside bottom of the feet become swollen. Difficulties in foot movement, like standing on the toes. Discuss with a doctor in case you have any of these symptoms. Most importantly, take control of your daily activities. Avoid tasks that exert more pressure on your feet. Learn the simple home workouts that help reduce flat feet pain. Some of these exercises include foot stretching. Running is an easy pastime for those looking to gain emotional and physical benefits. It helps you to lose weight, lower stress and even meet new people. However, while running is a cheap and great way to stay in shape, it may be a challenge to flat feet people. Fortunately, there are shoes meant for people with flat feet. You should be careful when choosing flat feet shoes since there many brands on the market. The best shoes prevent your feet from injuries and ensure maximum comfort. Also, these shoes enhance shock absorption and arch support when you are in motion. First, you should understand your feet before choosing running shoes. The arches on the inside of your feet act as a natural shock-absorption tool. They help to distribute your body’s weight on the ankles, knees, and feet. Also, it allows you to keep the right posture. The arches encourage proper pronation. Basically, Pronation is the rolling of the foot from toe to heel when your body is in motion. The forward motion is common in people who have normal foot arch when they stand. People with flat feet have low arches. When standing, most of the foot surface area touches the ground. Therefore, when running, the arch collapses upon impact with the ground. The impact can hurt your body. Also, people with flat feet don’t pronate well. These people tend to roll their foot inward as they run. Luckily, there are best shoes for flat feet to offer superior support and comfort. What are the Best Shoes for People with Flat Feet? If you have flat feet, you require shoes with an extra support system. Often, shoes that have added arch support are preferable. If you have a flat foot, avoid shoes with less arch support. Motion control and stability control shoes are the two categories of shoes for people with flat feet. Stability control is the industry standard phrase for shoes with added support. These shoes offer flat feet runners an excellent combination of support, cushioning and durability. Thus, stability control shoes have structured cushioning. They limit excess motion of the feet. Thereby, offering a runner with a solid impact when touching the ground in stride. The most visible wedge of the sneaker is the added technology in stability control shoes. Also, they have an additional compound of foam. This foam helps the runner keep solid gait and pronate forward rather than inward. These shoes offer you with more running options. They add an extra cushion along the arch of the foot. These shoes limit the foot motion reducing the risk of rolling. Thus, you will not be at risk of body injury when using motion control shoes. One drawback of these shoes is that they are a bit heavy. However, the extra weight is enough if you want to enhance the quality of your run. If you have large feet, you can choose shoes with a wide width. The wide-width shoes offer remarkable comfort when walking around. However, these shoes may not be comfortable when running. Also, your feet may be at risk of injury due to the extra space between your toes. If you have flat feet, you may face challenges when choosing the best shoes. But don’t worry! The process is simple if you read honest reviews. You can ask a podiatrist’s idea on the best shoes for you. Compare various running shoes for flat feet people to know their features. Also, you can ask the people around you or your friends. Some of your friends may have the same condition, so they may help you to make a choice. The best running shoes for people with flat feet may be a bit costly. Cheaper brands are also available. However, it is good to invest in your running shoes than to deal with feet, knee and hip pains. Great shoes for people with flat feet offer arch support, improve shock absorption and protect your feet from injuries. This guide covers very vital elements on how to choose the good running shoes for flat feet women and men. I hope it will guide you make the right choice. If you are ready to buy one pair, you can check our amazing selection. This selection has the best shoes for your flat feet condition. Let flat feet condition not bar you from enjoying outdoor activities.